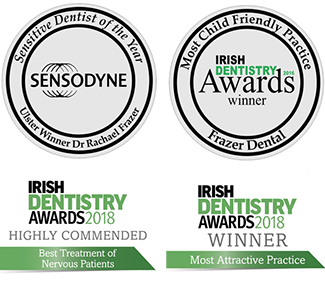 At Frazer Dental Kingscourt, we offer SAFE, affordable, Dentist grade, professional tooth whitening for everyone age 18 and over. Which whitening system is best for you? A check up with one of our dentists is necessary before we can recommend which whitening system is most suitable for you. At Frazer Dental Kingscourt our Phillips Zoom 1 hour tooth whitening guarantees 6 shades whiter teeth in 1 hour with no sensitivity. Our in-house laboratory will make your customised bleaching trays which you will wear at night for 2 weeks. Will I need my teeth cleaned / air polished first ? Most individuals will need a clean / air polish beforehand before whitening to get the best results. Whitening at Frazer Dental costs from just €250 or Philips zoom whitening kit for €399. Call Frazer Dental today on +353 (42) 9668929 or facebook us if you have any questions!